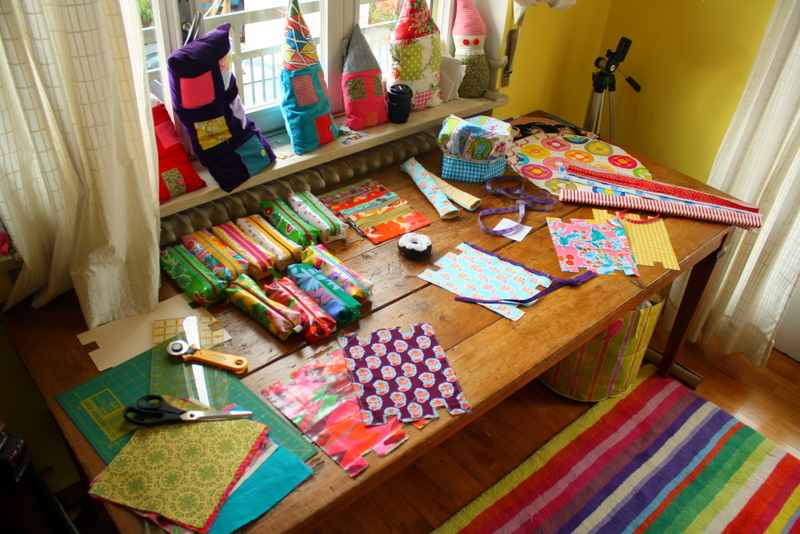 With all the Sinterklaas parties and various holiday events lately I haven’t had a lot of time to sew. 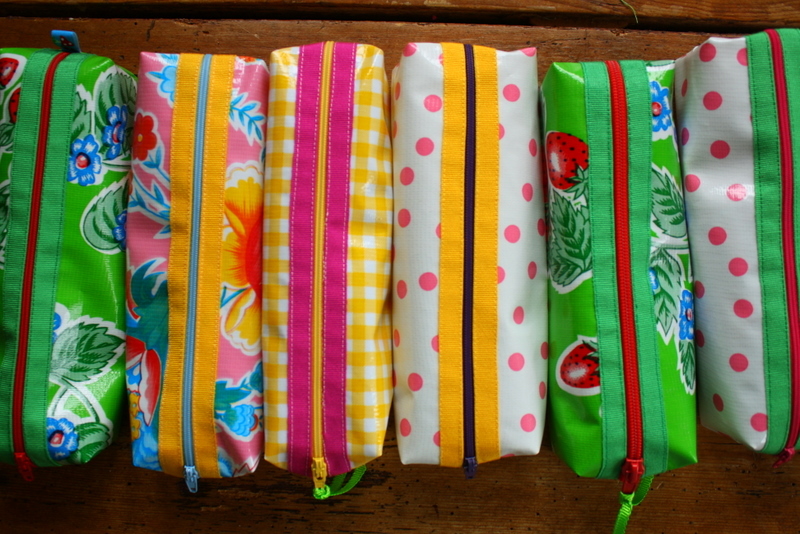 But the last few days I have managed to start sewing some of the Christmas gifts for various teachers and friends. One sewing machine is broken and the other one seems to be holding up so far (even with all the oilcloth I’ve been using). These bags are so nice. 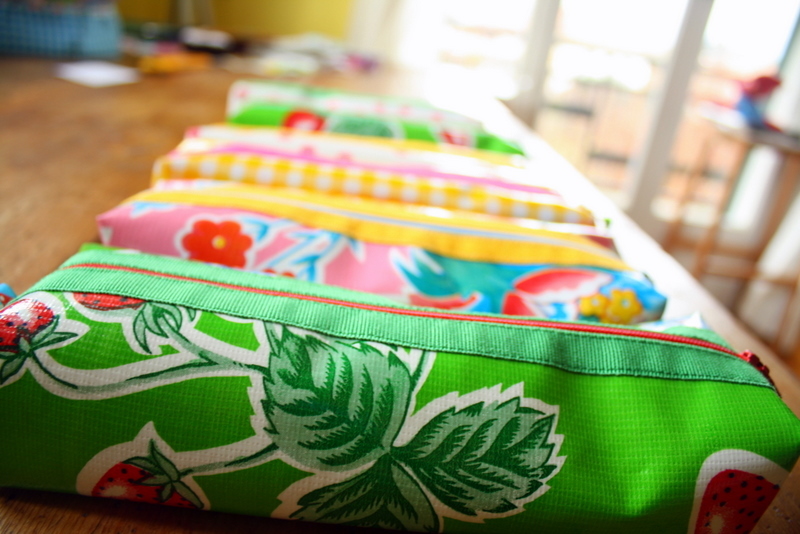 Great for travelling make up bags – hint, hint!!! I love seeing your workspace and the projects that you are working on! THese little cases are so wonderful and colorful!! PS – I am assuming that you DID not have to sew anything here by hand. I have a pattern but there is handsewing (beurk, phooey and eegit) involved.